Do you routinely have a "recruiting crisis"? Are you in a panic because an employee is leaving in two weeks or has already left and you know it will take a while to hire someone? Do you pay recruiters or staffing agencies a lot of money to get someone NOW!? Do you make do with less then qualified candidates? Do you need help? Many organizations begin recruiting when they have an opening, or shortly before. 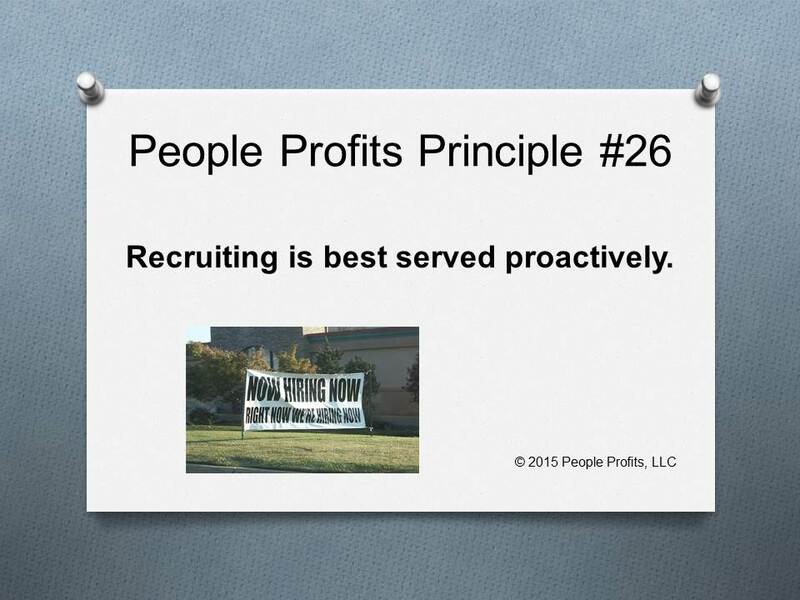 People Profits has an entire proprietary system and related processes that makes your recruiting strategy and plan proactive. This proactive stance provides the results that organizations want and need.